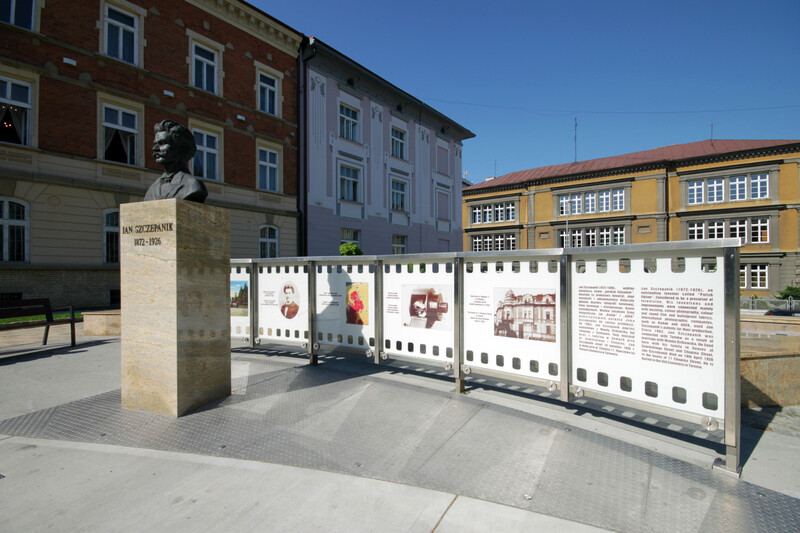 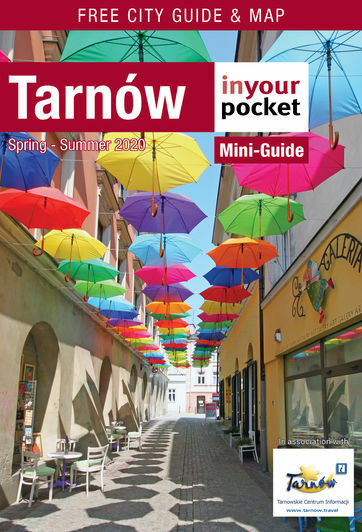 Named after local hero Jan Szczepanik, this small public square just north of the Old Town has become a sort of shrine to 'Tarnów's Edison.' 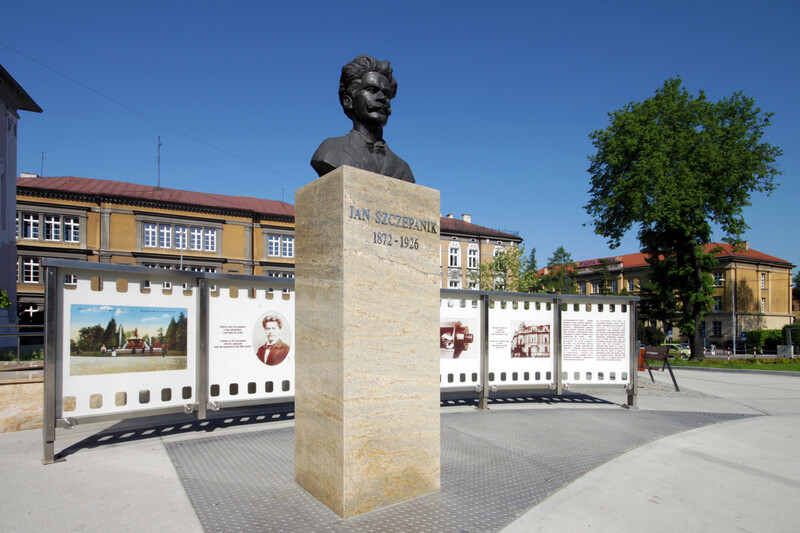 In 2011 Plac Szczepanika was completely renovated with a new two-level fountain, landscaped walkways and new benches. 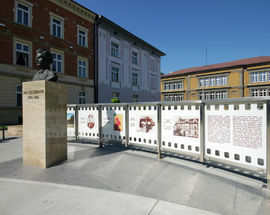 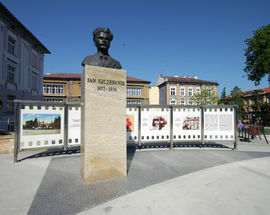 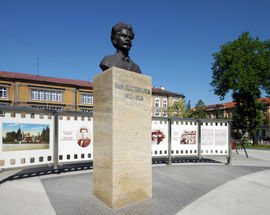 Szczepanik has been given better exposure than ever before with his long-standing monument now prominently displayed before an outdoor exhibit with information and photos of his life and inventions, as well as a long curving wall that includes a large mirrored bust of his iconic head, his signature and some important dates from his career. 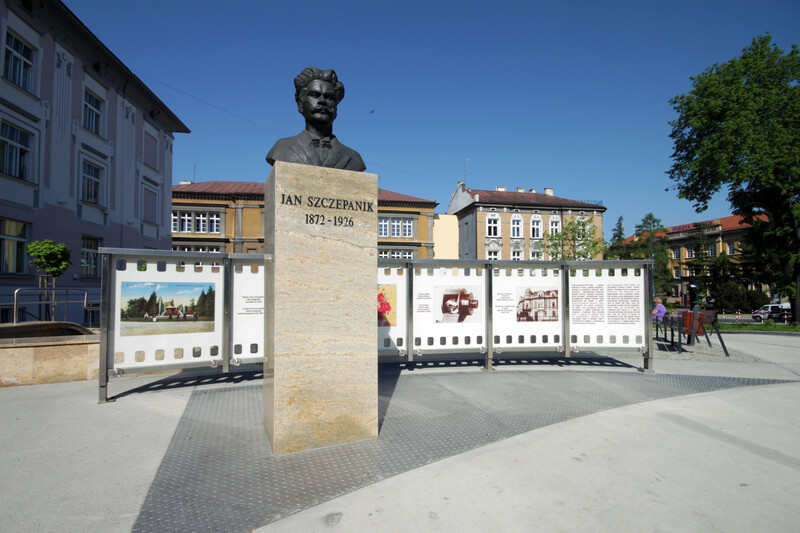 Make a detour in your wanderings to give it a look.